Must make Apple Harvest Bread with Cider Glaze is perfect for fall and a great way to use up all those apples. Great for breakfast or as a midday snack. It is apple picking time here in SW Ohio. We have a great u-pick farm about 25 miles north of Cincinnati called Irons Fruit Farm. This is a great local farm that offers u-pick throughout the summer and fall with all types of produce. The busiest time of year is in the fall. They have a great orchard featuring Jonathan, Macintosh, and Red delicious apples. This was a good year for apples in our area. The u-pick is great, but Irons has a wonderful pumpkin patch for the kids that runs from late September through the end of October. We have been taking our kids to this pumpkin patch since they were babies. You take a hay ride out to the patch, pick out your pumpkin, and sometimes you get lost in their corn maze. 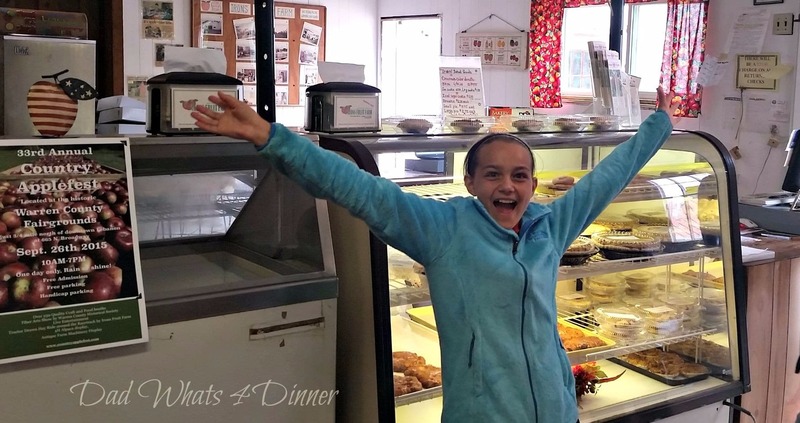 When you get back to the farm you are entertained with local music, crafts, a petting zoo, and the best part is the food they bake on site. They have the best apple fritters and mini donuts to enjoy with complimentary cups of apple cider which is also made on site. We usually buy a 1/2 gallon of cider and some doughnuts and sit around awhile to enjoy the fall day. I enjoy supporting these local farms as I think everyone should. Most of these small farmers make their income, for their year, during the fall when they provide suburbanite’s the chance to make memories picking out a pumpkin or picking apples from the tree. 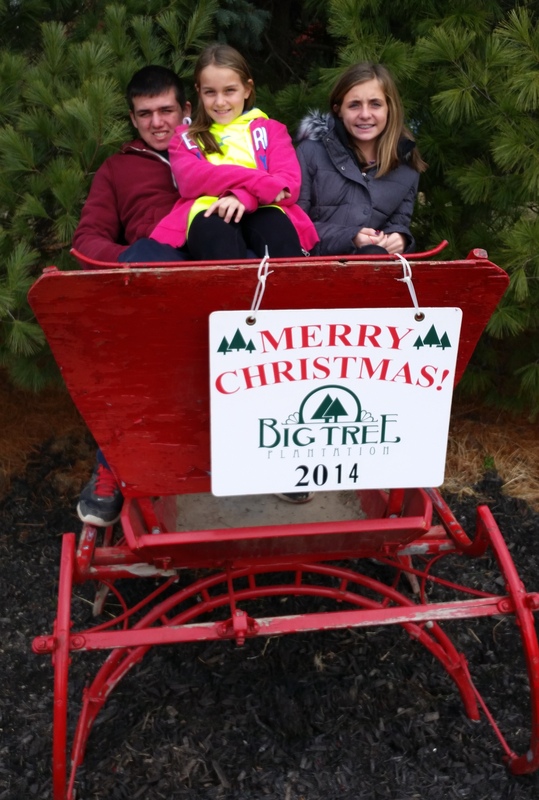 We also support our local farmers in the summer buying produce and at Christmas, we hit the local tree farm, Big Tree Plantation, also in Lebanon, Ohio, which we have done every year since we started a family. Back to the 1/2 bushel of apples we picked two weeks ago after our youngest had a soccer game near Irons Fruit Farm. It wasn’t crowded and the apple trees were full. It is nice that our youngest daughter still enjoys being around us and doing these little things. She is 11. The other kids are 13 and 16 and who knows when they might like us again. I am not sure why we bought a 1/2 bushel of apples. That is a lot of apples, and I mean a lot. So by last weekend, these bags of apples had been sitting on our kitchen counter-top for a week. I declared Saturday apple day. My youngest, along with our cat, helped me with the peeling and coring. Luckily we have a Pampered Chef peeler corer. This is a very cool gadget to own especially if you have a ton of apples. I had big plans for all my apples. I definitely have plenty of blog material, if I can get it written up. So here is what I made: Obviously, I made these Apple Harvest Bread with Cider Glaze. Then I created a caramel apple bars using a cake mix and Nestle La Lechera caramel sweetened condensed milk. Yum! I also made crock pot apple butter and still to be made is canned apple pie filling to give as gifts and to use this winter. It was a full day of apples. 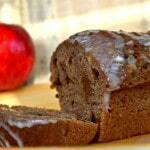 So back to this recipe for Apple Harvest Bread with Cider Glaze. I bought a mini loaf pan at Kroger’s the other day. I needed a new 12 cup regular size muffin tin and lucky me, Kroger’s had BOGO on Wilton baking items. So I picked up my muffin tin and this mini loaf pan. I searched to find an apple bread recipe that looked good to me. I found an interesting recipe for steamed harvest bread at King Arthur Flour recipe page. I really couldn’t steam my mini loafs in my new pan so I decided to use the great feature on King Arthur Flour website to chat with a baker. How awesome is it that I can get live help with a baker through their web chat system. He had some great ideas that got me headed in my own direction. I used the Steamed Harvest Bread recipe as my base and modified it quite a bit. The King Arthur Flour recipe is a great base to use with all sorts of fruits and veggies to make tasty bread. This recipe is super easy and the loaves of bread are wonderful for breakfast. I used both pureed apple and apple chunks. I also added some chopped dates. I made 4 of my loaves with a streusel topping and the other is topped with a simple apple cider glaze. 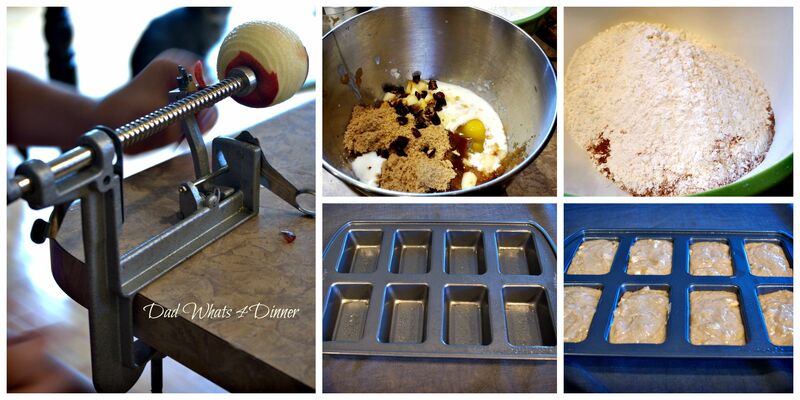 Mix your ingredients, fill loaf pan and bake. 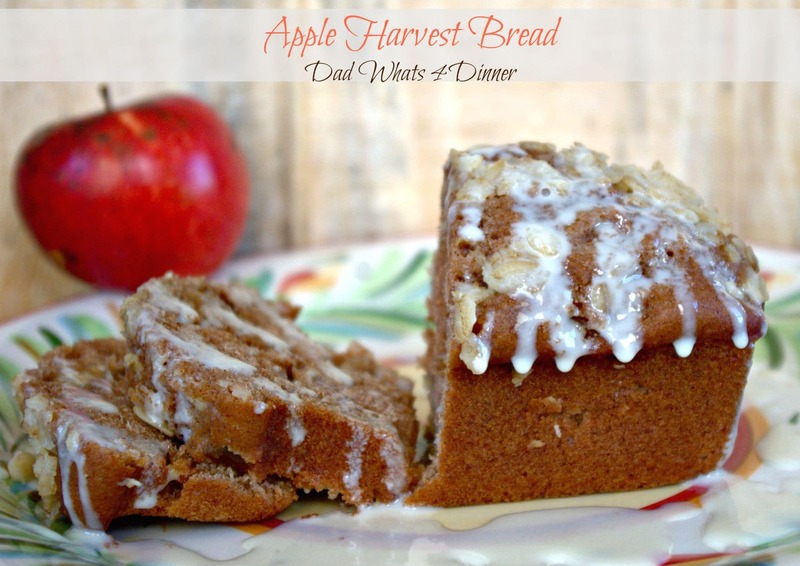 Must make Apple Harvest Bread with Cider Glaze is perfect for fall. Great for breakfast or as a snack. Mix together flour, baking powder, soda, salt and spices. In another bowl, beat together the buttermilk, vanilla, eggs, sugar, mashed apple, chopped apple and chopped dates. Blend this mixture into the dry ingredients. Mix butter, flour, brown sugar, cinnamon, and oats in a bowl until crumbly. Set aside. Whisk in apple cider and allow to cool. I love this recipe! That glaze on the top is killer yum! We went to the orchard yesterday and I got 1 peck of apples and was thinking…apple butter! I used to put that on everything, and haven’t used it in years. Thanks Julie, I will probably post my crock pot apple butter recipe Friday. Super simple. I still need to can it. I would have loved to go to that farm day with or without kids. Still, what a great thing to do with your kids. Sounded so pleasant. I’ve bookmarked this recipe for when I’m ready to bake again. Still getting settled in a new home, new town, new state! How is your husband doing? Are you sure you are ready for the Midwest winters again? Glad to hear. Hopefully it is not to bad of a winter. Sorry just getting back to you. Your message was snagged in my spam folder. Not sure why. Thanks for stopping by. 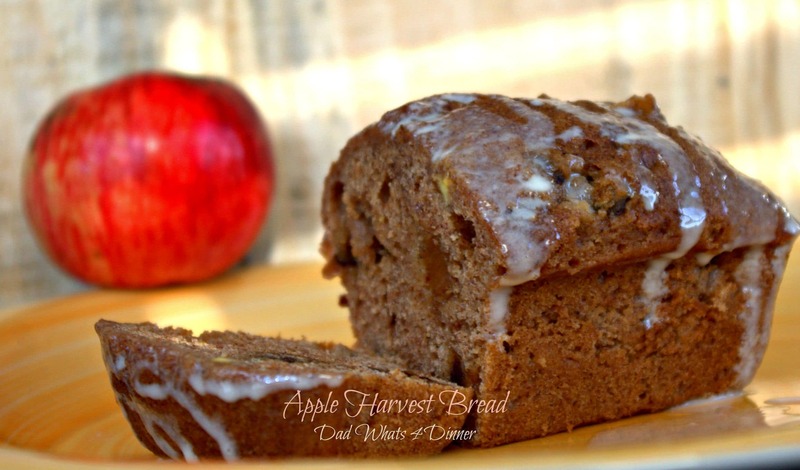 This Apple Harvest Bread looks wonderful! I love the glaze and the fact that it has apple puree and chunks in it. 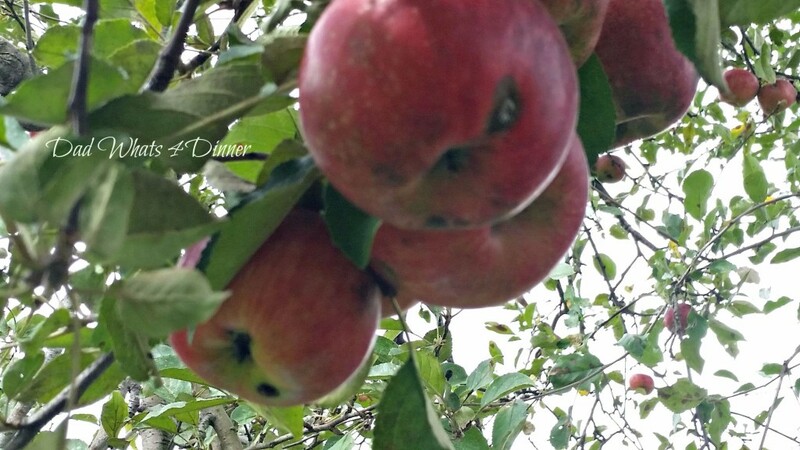 You are so fortunate to have an apple orchard nearby. We really don’t have any here. Loved the pictures of your family, and laughed out loud when you said you don’t know when your older kids will be liking you again! 🙂 I can so relate. Ours are getting to the age where they kind of like us now. Hang in there! By the way, I am not familiar with the yum button. What does that mean? I live in a suburb of Phoenix, Arizona. There is a nice apple orchard about 4 hours away, but we never seem to make it there due to the time. That is a long trip to pick an apple. Do the local farmers markets have fresh apples? Our farmers’ markets are pretty sad here. Not a lot of produce. You can find homemade tamales, though! 🙂 I heard there is a decent one about 45 minutes away, so I am going to check that one out soon and see if it is any better. This bread looks delicious. I can’t wait to go to the apple orchard this weekend! Can’t wait to see what you make Carlee. Thanks for stopping by. Just made a similar loaf in a bundt pan today for a morning breakfast and wanted to glaze it with cider. Did you use cider and icing sugar! I reduced cider by half, added a T of brown sugar and anither of maple syrup but it looks pretty thick towork with in the morning….thanks Quinn. Hope you have a great time picking apples. Yeah they will probably like me again when they leave home. They like me when I put dinner on the table. :)) Thanks for stopping by. Your apple bread looks delicious. Supporting local farmers is such a great thing to do. I’ve just linked up at your Throwback Thursday party with Ali and wanted to stop by for a visit. I’d like to invite you to share your wonderful recipes on our Snickerdoodle Sunday Party. This week’s special party is open through tomorrow. 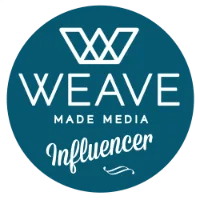 I’d love to have you join us. And thanks for hosting Throwback Thursday. I love an apple bread and this one looks crazy good! I’m hoping to take my little ones apple picking for the first time this year… they just had “apple week” at preschool so are all primed and ready 🙂 Yumming and can’t wait to give it a try! Thanks for stopping by Kathryn. We have taken our kids since they were little. Enjoy yourselves. This bread looks incredible!! 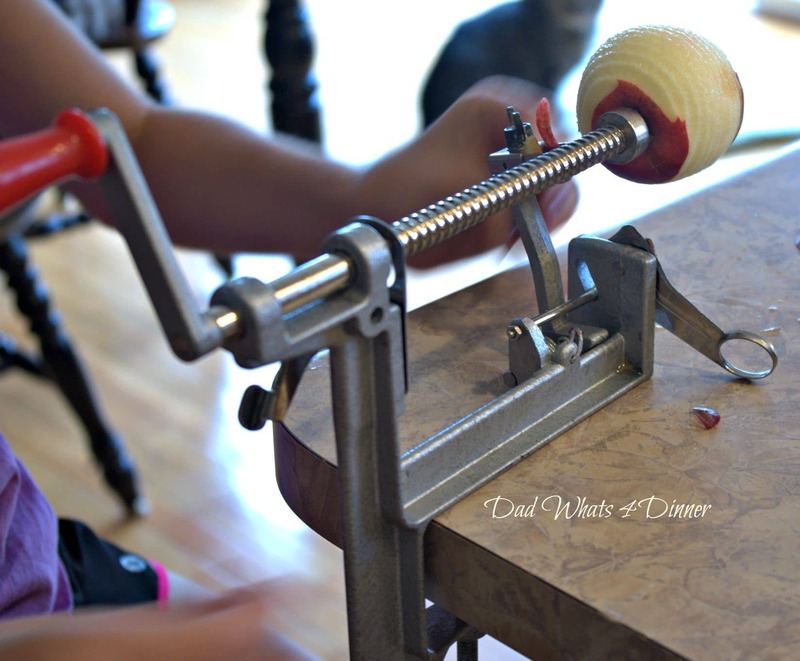 Too funny, I have the same apple peeler 🙂 It’s definitely a lifesaver when making breads and pies with a TON of apples! Thanks Amanda. My wife doesn’t think it is worth using but i like to use it. Apples from Iron’s. We try to go to local farms as frequently as possible too. Actually, we do most of the year when we can. My favorite is the summertime though because we get to pick our own. I spent the summer picking blackberries, blueberries, and peaches. And, now, we’re into apple season! We actually went apple picking yesterday, while the pictures are up on Facebook in Instagram, it may take another week or two for the recipes to reach my blog. Your bread looks delicious as well. And, I love all your photographs from the apple picking to the kitchen. It sounds like you and your family had a lot of fun. Happy FF, and I hope you have a wonderful weekend!! Thanks Kaila. Yeah I have a few more recipes to post. I try to instill in my kids the importance of supporting the local farmers and enjoying our time together in the outdoors. Have a great weekend and Happy FF! Your bread looks amazing! 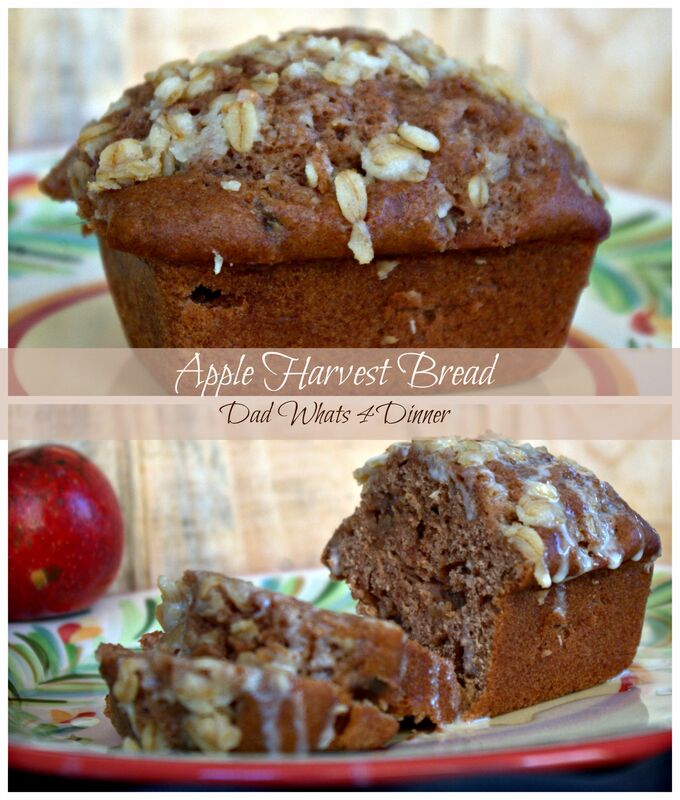 I love anything with Apples, and nice addition of the pumpkin pie spice and cinnamon …perfect fall bread! Happy FF! Thanks the bread was really moist and the apple cider glaze was awesome. Thanks for stopping by. Happy FF! I love all the apple recipes on this week’s FF. Thanks for bringing another that looks delicious. I love that you have both pureed and chunks of apple. It looks very moist! Our son is 25 and mostly likes us again, hang in there. Yeah if I remember I started liking my parents again around 20. :)))) Thanks for stopping by Liz. Quinn I am happy to let you know this recipe was featured at #AnythingGoes this week! Come by and grab your badge! Congratulations. What an awesome post! 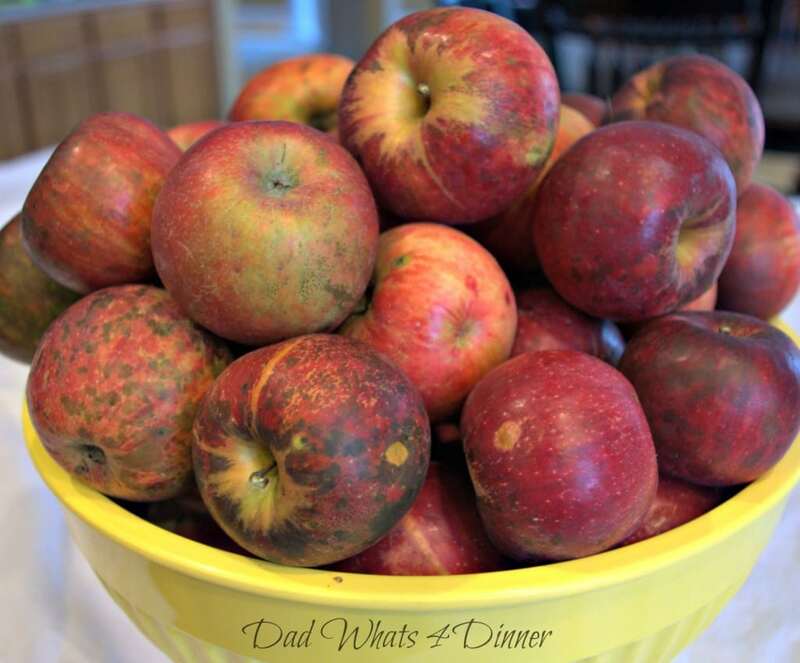 I LOVE all things apple this time of year and look forward to more of your yummy recipes. Thanks so much for sharing this wonderful bread with us at Weekend Potluck. Keep em comin!! Love Weekend Potluck. Thanks for stopping by. Bringing apple butter this week to the party. Wonderful looking cake (we call it cake it and not bread/loaf). And I like the recipe as it also contains dates!! Yum Quinn, these look great! I’ve been needing some more apple recipes as I have picked them but haven’t decided on what to do with them! Thanks again for being my partner in crime and sharing! I had to come back and look at this bread again! I am so going to make it – and I have the same peeler, too – and got one for my daughter. I think it is absolutely worth it – and then there’s the fun factor! My grandkids LOVE it! Thanks Mollie. I love my peeler and this cake is super moist.. Your welcome Mollie. I just found your comment. It was in my spam folder. :(( Have a great weekend.